​Put your hand in his pocket mouth—don’t worry, he won’t bite! 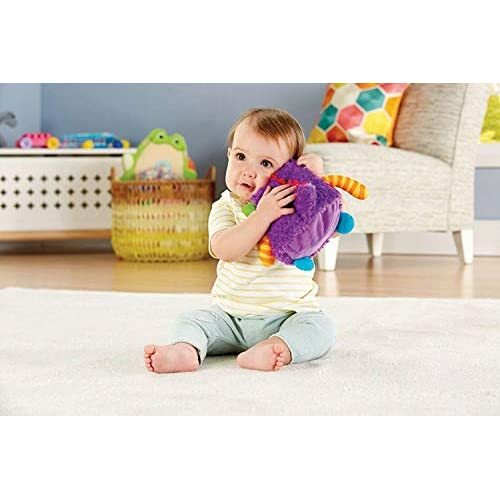 This cuddly monster is always ready to play! 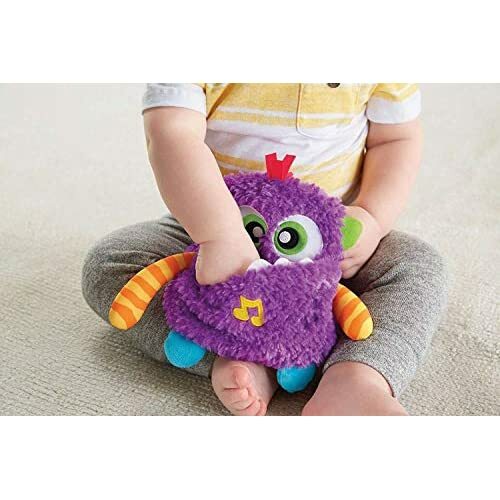 little ones can squeeze his soft belly to hear silly monster sounds and short tunes, or tug on his arms to pull them here, there and everywhere. 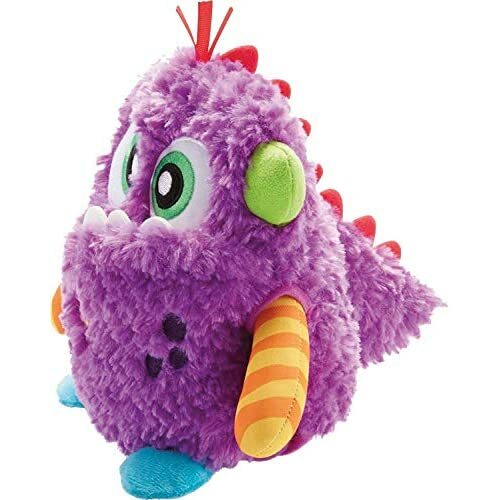 With tons of fun textures for little hands to explore and an adorably friendly face, this play "thing" is a great buddy for your little monster. 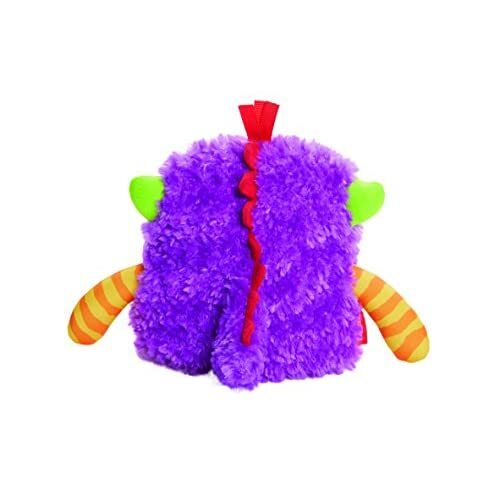 Where development comes into play sensory: a variety of textures, sounds and bright colors stimulate your baby's senses in the best way. 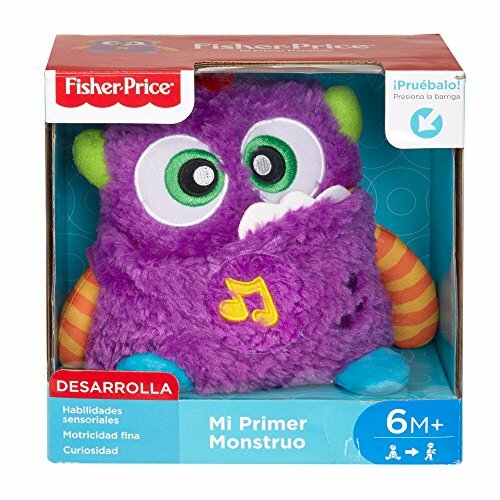 Fine motor: as little ones grasp and interact with the monster, they're strengthening their hand-eye coordination and dexterity. 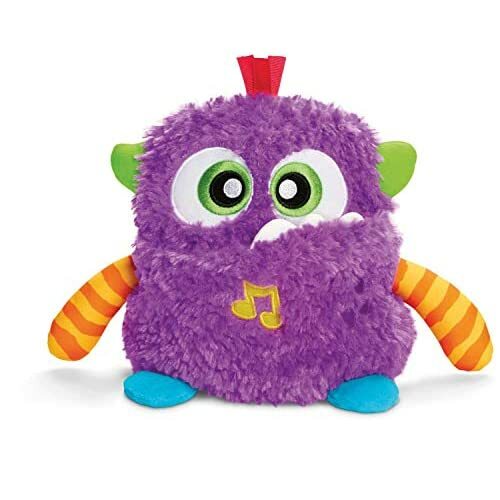 Curiosity: as babies discover how to squeeze the monster's belly to hear silly sounds & tunes, they're introduced to cause & effect.